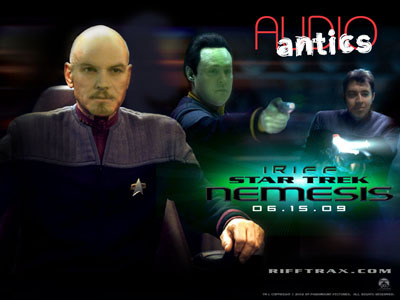 AudioAntics Presents - Star Trek Nemesis! Way back when in the Hollywood Renaissance of 2002 Brent Spiner thought it would be a good idea to clone Captain Picard and Data - two idyllic characters of the Star Trek franchise - and then make a buddy film about them. 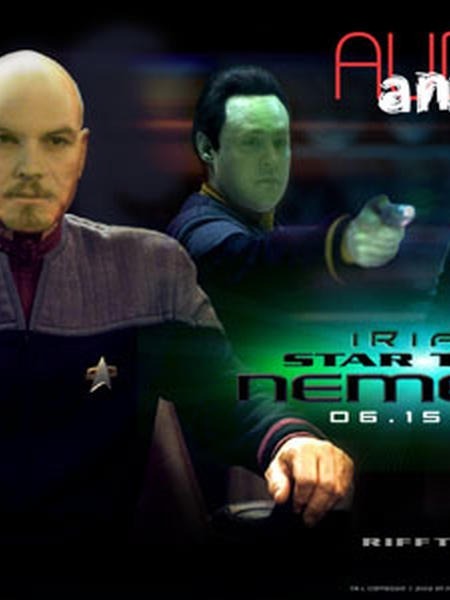 Yes, Star Trek: Nemesis is a heart warming tale of a boy and his robot lost in space attempting to stop the ultimate weapon from destroying earth (and this time it's not the Borg, nor the Klingons, but the REMANS. And twist - they're lead by a human!). In this, AudioAntics first Riff, we take a look at the deeper, metaphysical side of Captain Jean Luc Picard's bald head and attempt to make some sense out of this plot hole ridden, poorly written money-maker. That came out wrong.